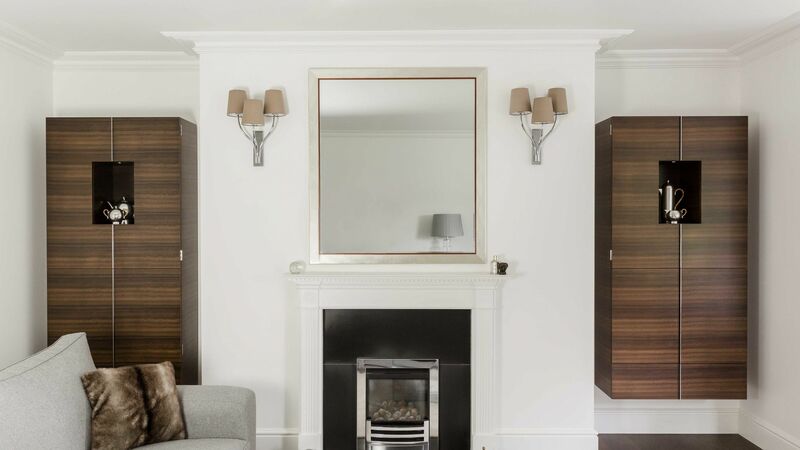 These matching wall-hung alcove cabinets were designed for a client seeking an alternative approach to the classic, shelving solution often used. 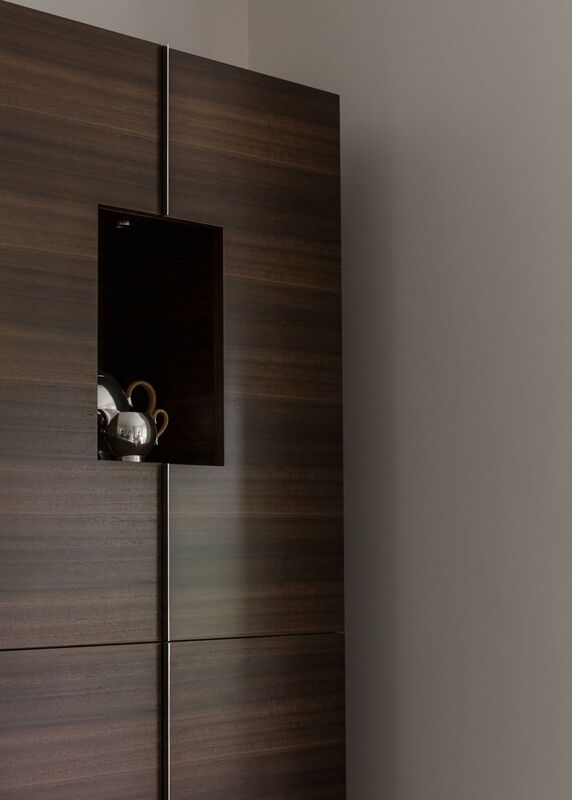 The aim was to make the furniture the feature, rather than what was to be contained on and within the cabinets. 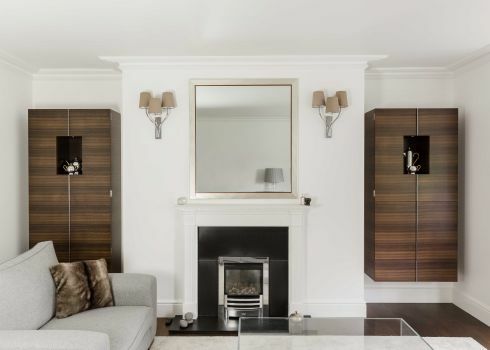 It cleverly conceals a TV and all associated AV equipment behind bi-fold doors and dropdown panels, with the opposing cabinet for books and general storage. 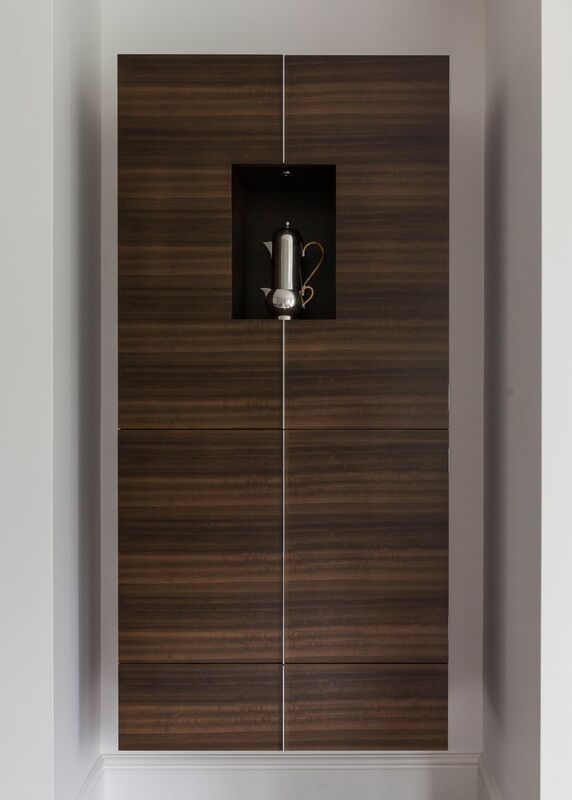 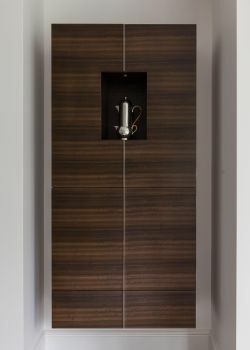 The cabinets are made from fumed eucalyptus, with the central chrome strip acting as the door handle. 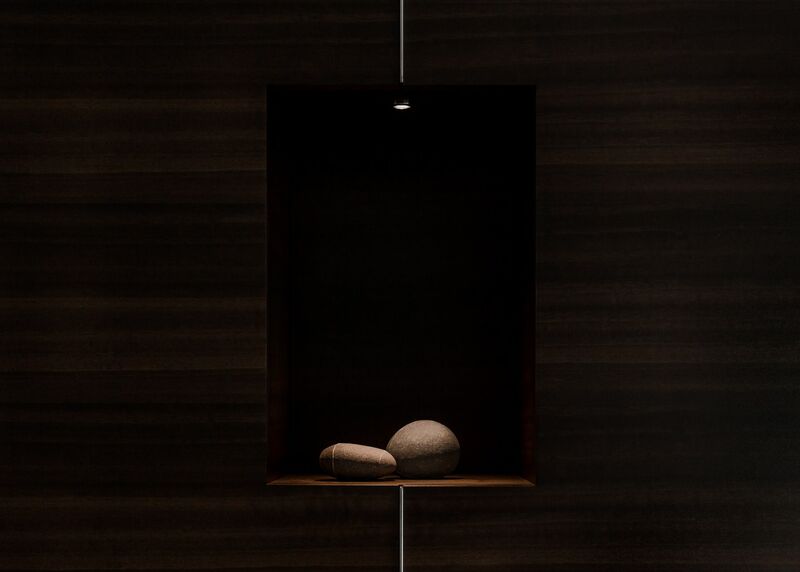 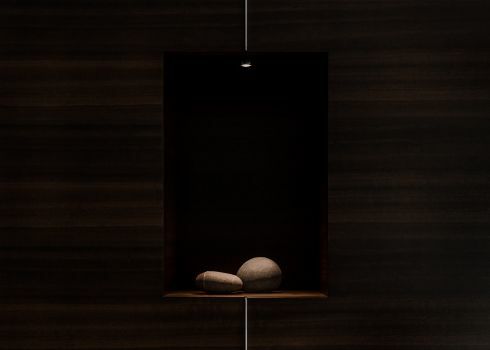 A discreet LED spotlight is enclosed to illuminate the decorative pieces within the reveals.